Read more great stories like these on Best of SNO. It’s very cold and snowy outside but it has been warming on Best of SNO, where we’re seeing record numbers in daily submissions littered with excellent stories. These are some of the best from the last month or so, written and submitted by students just like yours. OK, we concede. You guys are good! We asked you to get out there and cover your local elections. Your response? Overwhelming. You had it covered from all angles, so much so that we’ve re-published close to 30 stories so far and still have more to review — and more being sent in. Thank you for the outstanding response to this first Assignment Desk prompt of the school year. You should be proud of yourselves. It was difficult to choose, but these are some of the best stories on the topic, written and submitted by students just like yours. And now … you’re next Assignment Desk topic: California Wildfires. Rule No. 1: This is not a permission slip to put yourself or others in danger with irresponsible, on-the-ground reporting. Be smart. Although this topic may give California schools a home-field advantage, other schools around the country should push themselves to find a local angle. When it comes to reporting on national stories, we preach localize, localize, localize at Best of SNO. Dig into it. See what’s there. Good luck! Aw, shucks, you guys! You have overwhelmed us with your rampant participation in Best of SNO. And, boy, have you all been busy reporting already this fall. From what we have gathered, every school in the country is under construction, all of them revamped their security procedures, and all of you saw the movie Crazy Rich Asians. Sure, it’s not fair to lump everyone together like that, but how far off are we really? Alas, we’ve had the privilege to recognize tons of terrific work so far, based on the unique news and people in your communities. These are some of the best stories of the past month or so, written and submitted by students just like yours. And now … you’re first Assignment Desk topic: Midterm Elections. Perhaps this Assignment Desk topic is something to start planning for, instead of having something to submit right now; after all, the Midterms aren’t for another few weeks. We don’t so much care for a list of your local, state or national candidates or your polling places — those stories won’t get re-published — but maybe you interviewed a candidate, talked to students who’ve interned with campaigns (we’ve re-published some of these already) or covered a campaign rally. What we’d also want to see is how you covered the day of the election, the voters’ experience, campaigns awaiting results on election night. It’s a good idea to cover the lead-up to the big day, too, how your community is preparing for it, voter registration drives… that kind of thing. Prepare and publish them on your site. The submission process doesn’t change. We’ll be on the lookout for your political coverage! Here are some pro tips. Alright, we’ve tortured you long enough. 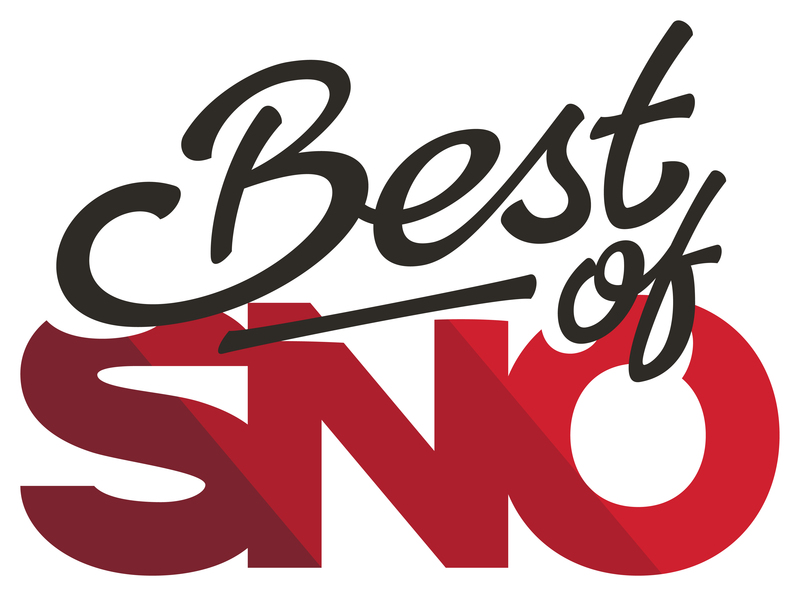 Best of SNO is back, baby! But wait… There’s nowhere to submit my story! Ahh! Am I going crazy? Why are you doing this to me! WAS THAT A GHOST I JUST SAW! Frankie says “relax.” Gone are the days when you had to fill out a submission form on the site to submit your article. Welcome to the future! We’ve added a feature in the dashboard of your site that allows you to press a button that sends your article our way. Right there in the toolbar where you click “Stories,” “Breaking News” and more, you’ll click “Best of SNO” — that’s how you’ll get started. This new feature is constantly sifting through all of your content, marking stories as eligible or ineligible for submission based on several factors, listed below (and listed on your site’s “Best of SNO” section under the “Submission Guidelines” tab). Stories must be at least 300 words in length, with the exception of videos, which are eligible when that video’s embed code is pasted into the proper Video Embed Code field. Stories must have a featured image. That featured image must have a photo caption and photo credit. Stories must have a byline with the writer’s first and last name. All of the other ideological requirements, like the story being engaging, concise and relevant, standing out from the crowd — that kind of thing — remain the same. Eligible stories will be listed under the “Eligible Stories” tab of the Best of SNO page in your dashboard and ineligible ones will be listed under, you guessed it, the “Ineligible Stories” tab. View your list of ineligible stories and there’ll be a note there explaining what’s making it ineligible. Before you do any of that, please review the “Site Data” tab, which should be the first thing that shows up when you click “Best of SNO” in your toolbar. The site data lists important information for us like the adviser’s name and the school’s name. Verify that all of it is correct; if not, fix it. Everyone can view the page to see if their story is eligible, but only site “administrator” accounts will have the ability to submit. Only three submissions are permitted per day, per site. We read all submissions, so cut us some slack on this one. When you hit “Submit” on an eligible story, it goes to the “Submitted Stories” tab and also is added to our master list for review. At that point, it’s all out of your hands, but you can see the status of each submission (it’s either Pending, Accepted or Rejected) in that “Submitted Stories” section. You can also retract a submission if you change your mind about it. Your overall progress toward the Excellence in Writing badge is tracked in the middle of the page. There, you’ll see how many stories you’ve submitted this year, how many are being reviewed, how many were published, and how many you’ve submitted (out of three) that day. You still need three stories published on Best of SNO to earn the badge. OK. You’ve heard enough from us. Now show us what you’ve got! Read more great stories like these on the Best of SNO high school and collegeeditions. Assignment Desk: Everyone’s writing articles, and Best of SNO’s here to recognize the good ones. But this year, we want to see who’s doing more than that and still doing great work. Consider this our first push. This month’s topic: Multimedia. Send us your best video stories and photo galleries, all of which should align with our requirements for the SNO Distinguished Sites Multimedia Badge. (That’s our primary requirement). These should be interesting. Videos shouldn’t be news broadcasts or two minutes of raw footage spliced together. They should be interview based… multiple camera angles… B-roll… you know the drill. Photos shouldn’t be blurry or pixelated, they should have captions and credits. Also, don’t send us any gallery larger than 15 photos. We know these will be different to submit than a story. For videos, there’s your usual area for the embed code. For galleries, paste your link in the Body Text space. For both, attach a Featured Image and give it a headline and byline. Any submission without all these elements, will not be considered. And, as always, categorize it as Assignment Desk in the dropdown menu of the form. The first month for Best of SNO submissions has been rampant. Without question, reporters were ready to write as soon as the school year opened — and they’ve produced some great stuff. This month, our first Assignment Desk, calling for your coverage of hurricanes Harvey and Irma, was a big success. Also, students and teachers watched the solar eclipse, a student at Lovejoy High School wrote about her connection to a 1989 Chevy pickup truck, and a wild hawk invaded the St. John’s School quad. These are some of the best stories of September, written and submitted by students just like yours. Assignment Desk: In recent weeks, professional athletes have taken a firm stance (or, rather, a knee) in response to a thread of tweets by President Donald Trump. Their actions have had a ripple effect. Have you felt it in your local community? This month’s topic: Protests in Sports. What are you writing (what could you be writing) about local athletes and local teams responding to the president’s tweets and the pro sports reaction? Are your athletes also taking a knee or making a different kind of protest? Why? Or maybe they aren’t. Why not? What has happened in your school and community, as a result of this? What do those within your athletic department (players, coaches, administration) think about it? What about everyone else? Find out. Also, send us your opinion pieces. What are you saying about it? What’s your take? And finally, when you’re submitting your stories to us, please tag them with the “Assignment Desk” category. Starting today, it’s open season for Best of SNOsubmissions. Before we lose 98 percent of you rushing to the site we’re promoting from that opening sentence alone, let us first warn you — you’re going to notice some big changes. The first will occur to you as soon as you get there. BestofSNO.com isn’t the catch-all site it used to be. It’s something better — a shiny new launch pad to take you to one of two Best of SNO sites now accepting new content. Best of SNO H.S. Edition is the site you’ve always known, though with a slick makeover. (Pause, while I pat myself on the back). Best of SNO College Edition operates all the same, except for one obvious difference: the name. Best of SNO U is the new and exclusive club for student journalists at colleges and universities to submit work that will be judged against other reporters, photographers, and videographers at their level. This year, we really wanted to bring all of those non-writers into the equation like never before. So, we’re encouraging students across the entire SNO realm to submit exceptional individual photos and videos as well, showcasing the great multimedia work you’re doing. Finally, a challenge. Each month, we’ll be putting out a bat signal for submissions relating to a specific topic or theme (coverage of the solar eclipse, for example). You send us a story you’ve already written about that month’s topic or theme, or maybe you use it as a story prompt to write something new, and we’ll collect the best content and feature it in on the Best of SNO homepage. We’re calling it the Assignment Desk. This month’s topic: Hurricane Coverage. Hurricanes Harvey and Irma have affected millions of people in communities all across the country. For weeks, journalists have been on the ground sharing stories about everything that happened before, during and after the devastating weather events. Share with us your coverage about your community, and come back at the end of the month to see a sampling of the great work student journalists have done. Oh man, we’re already in the homestretch of the 2016/17 academic year. That means that even though the breezes are getting warmer, you’re probably just trying not to pull your hair out as finals bring the school year to a close. And, it means we’ve got nine full months of killer Best of SNO publications to look back on. So what better time than now to share some of our favorite Best of SNO stories from this year? To the Best of Best writers and staff mentioned below: a huge bravo. To any reader using this email as a welcome distraction from studying/grading/stress eating: you’re welcome. To those of you who were published in Best of SNO this year, but don’t see your name on the list: don’t worry, we love your work, but we’d have you here for days if we listed ALL the stories that stand out. So, without further delay, we present the 2016-2017 Best of Best of SNO. We hope you enjoy reading the Best of the Best of SNO stories as much as we did. And hey! We’re still reading, so keep sending us your stuff. We can’t wait to read it.